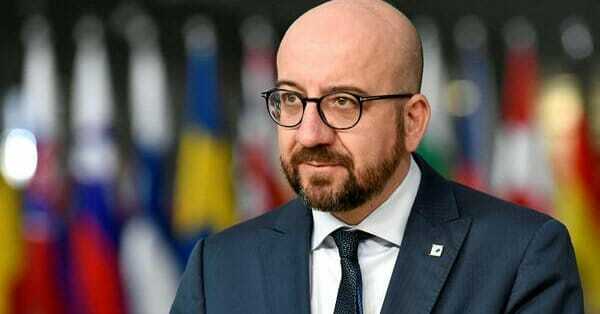 Belgium’s Prime Minister Charles Michel resigned on Tuesday over mass protests against his government’s support of the UN open borders global migration pact. BELGIUM’S Prime Minister Charles Michel has offered to resign after losing a vote of no confidence amid a political crisis over a controversial UN migration pact. Mr Michel told parliament he would take his offer to quit to the king. The 42-year-old lawyer was forced to reshuffle his government to avert its collapse after Flemish nationalist party the N-VA pulled their support in protest over Belgium’s decision to adopt the United Nation’s Global Compact on Migration. King Philippe had allowed Mr Michel to continue with a minority government and has yet to make a decision on whether to accept Mr Michel’s resignation, the royal palace said. The decision to adopt the UN migration pact sparked violent protests in the Belgian capital, Brussels, on Sunday, amid fears it could lead to an increase in immigration. Demonstrators clashed with riot police and targeted the EU Commission’s Berlaymont headquarters, which suffered several smash windows. The UN pact was agreed in July by all 193 UN members except the US, but only 164 formally adopted it at a meeting last Monday in Morocco. It sets out a series of non-binding guidelines aimed at improving global cooperation on migration, combating people trafficking and protecting the human rights of migrants. But critics, including former Belgian immigration minister Theo Francken, argue that the agreement will increase migration to Europe.